You'll develop your design and practical skills to standards that will impress the retailers you deal with, learning to source stunning materials, graphics and equipment to carry out your ideas, and to negotiate with suppliers to get the best deal. You'll work on photo-shoots to promote the latest fashion and home furnishing concepts, develop leadership and management skills to get the best out of your team, and learn to use a range of business and design software. The Foundation Degree in Visual Merchandising is recognised by the British Display Society as a UK ‘Centre of Excellence’. 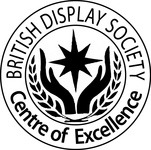 Graduates may receive the award of ProDip.BDS upon successful completion of the course and have the benefit of membership of the British Display Society whilst studying at Hertford Regional College. strong industry links with well-known leading retail brands such as Selfridges, Harrods, John Lewis, Marks & Spencer and Ikea and opportunities to gain in-depth work experience via work placements, ‘live briefs’, and presentations from industry specialists. When you successfully complete your Foundation degree, you can choose to start working in the retail sector, or within design studios supplying visual merchandising and exhibition concepts. Alternatively, you can progress to the Third Year of the BA(Hons) Interior and Spatial Design course at the University of Hertfordshire.